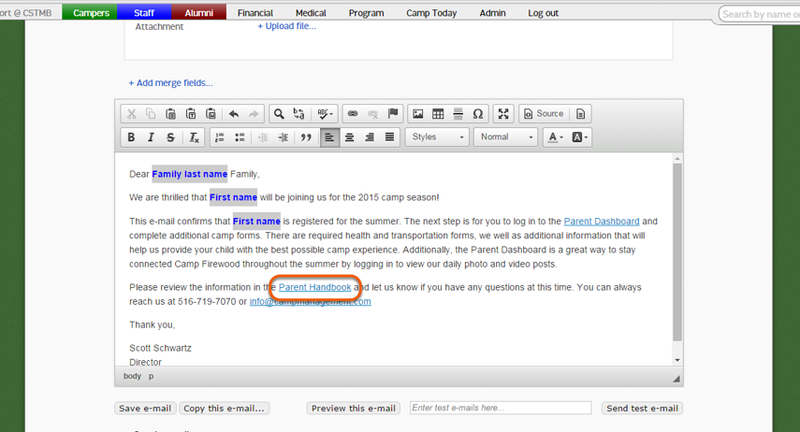 E-mails sent from CampSite may have one file, up to 1 MB in size, attached. 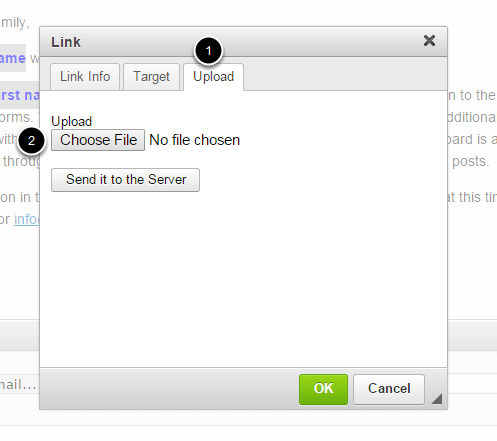 Occasionally, you may need to send multiple files, which can be done by linking to a file. Parents or staff will be able to click a link in the body of an e-mail, much like clicking a hyperlink to a webpage, which will download your file right to their computer. When composing an e-mail, highlight the text that you would like to make 'clickable', then click the link icon on the toolbar. After finding the file on your computer, click Send it to the Server. 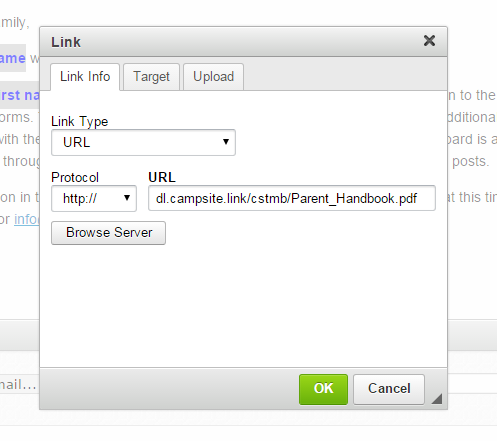 A URL will be created for your file. Click OK to save. The highlighted text will turn into a link. 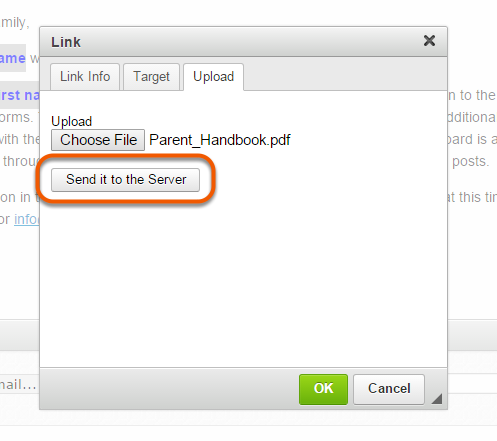 When the recipient clicks the link, the file will download to their computer.